In less than a week, US and Russian governments have secretly discussed and negotiated the largest spy swap since the end of the cold war. The recent warming of Russain-American relations probably have helped the two countries to set a deal so fast. In an unusual show of accommodation on the Fourth of July weekend, US officials allowed Russian diplomats to come to the closed federal courthouse in Boston on July 3 and meet with Andrey Bezrukov and Elena Vavilova in a lockup, according to their lawyers, who were present. That secret meeting was part of a 12-day flurry of events involving the arrest, conviction, and deportation of 10 Russian spies in exchange for four men accused of spying on Russia for the United States and Britain. The speedy resolution raised speculation by one lawyer that the swap was in the works even before the arrests, but federal officials denied that was the case. During the weekend meeting, the Russian diplomats reassured the accused Cambridge spies that “we know you’re here, we’re going to work for you, and we’re available,’’ said Vavilova’s attorney, Robert Sheketoff. It did not take long. Two days later, the deal had been struck between the United States and the Russian Federation, and there was suddenly a race to make it happen as quickly as possible, the lawyers said. “On Monday afternoon I get a call saying a deal was reached and they wanted to get word out to all the defendants in person,’’ said Boston attorney Peter B. Krupp, who represents Bezrukov, recounting his call from a Russian Embassy official. Early the next morning, Krupp accompanied Russian diplomats from Washington, D.C., and New York to a jailhouse meeting with Bezrukov at the Plymouth County jail, followed by a meeting with Vavilova at the Donald W. Wyatt detention facility in Central Falls, R.I.
“He tells my client what the terms of the deal are,’’ said Krupp, adding that the accused Cambridge spies, who had been passing themselves off as French-Canadians Donald Howard Heathfield and Tracey Lee Ann Foley, were told they would have to reveal their true names and admit they were Russian citizens acting under the direction of the Russian Federation since they arrived in the United States in 1999. “He makes clear that this was discussed by the president of the country,’’ said Krupp, referring to President Obama. 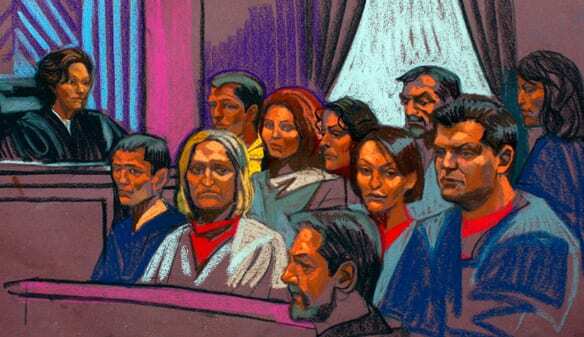 By yesterday, the international episode was over as the Cambridge couple and eight others arrested June 27 in Massachusetts, Virginia, New York, and New Jersey arrived in Russia a day after they pleaded guilty in US District Court in Manhattan to conspiring to act as agents of the Russian Federation in the United States and were sentenced to the 12 days they had already spent in jail.